The new year is soon approaching, so we want to know, what is your New Year’s resolution? 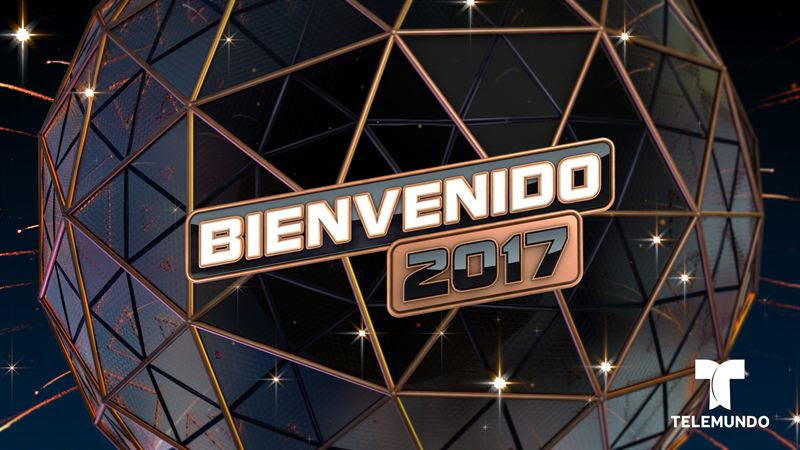 If it is to start off the new year in a spectacular way, then you’re in luck as Telemundo will be having a special New Year’s celebration titled “Bienvenido 2017” (Welcome 2017) for everyone to enjoy. Singing phenomenons including Jennifer Lopez, Alicia Keys, Blake Shelton, Gente De Zona and more will be performing for Telemundo’s New Year’s special airing on December 31st starting at 10:00 PM / 9c. The outstanding and exciting countdown to the new year will feature a simulcast with NBC and will be hosted by Patricia Manterola and Daniel Sarcos at Times Square in New York City. Other exceptional performances will be taking place from sensations including Sebastian Yatra, Pentatonix, Regulo Caro, Alexis & Fido, and Carlos Ponce. It will certainly be an unforgettable night. In addition, the New Year’s celebration will also include highlights of this past 2016 and predictions of what 2017 has in store in the worlds of entertainment, politics, and events. Be sure to welcome in the new year and celebrate it with the renowned Telemundo on December 31st starting at 10:00 PM / 9c! You don’t want to miss it! Previous Article: Megan Lee Gives Us The Greatest Holiday Gift With Her Incredible Song “Everyday Christmas” – Watch The Video Here!